What is inventory distortion problem? Well, it can be of three types: overstock, out-of-stock, and shrinkage of products. What are the causes behind? Definitely, there is some sort of disconnection between store administration, suppliers and customers. Narrowing down, other issues do surface, like lack of human resources to manage the store and its shelves, poor data synchronization between store owners and suppliers, and inefficient warehousing and logistics. There is no indirect loss on account of overstocking, but, yes, it’s a kind of capital blockage. It would be better to utilize the same capital somewhere else where there is a greater scope of generating revenue. The consequences of out-of-stock or shrinkage is well understood. Perhaps, there is nothing more frustrating for a customer than witnessing an out-of-stock label on your storefront or shelf. The impact is huge: he or she might leave other products as well, and the worst, he or she might recommend others not to head to your retail store. How big is the problem? McKinsey & Co estimates the loss caused due to inventory distortion in the retail industry worldwide to the tune of $1 trillion. Paula Rosenblum, a Forbes Contributor, notes that Walmart suffered a loss of $3 billion in 2013 due to out of stock merchandise problems. Shockingly, the company made the loss despite having a copious inventory. McKinsey & Co believes that the intelligent adoption of Internet of Things (IoT) can help save $410 billion. So what should retailers do? Retailers need to adopt smart shelves technology that can stay conscious regarding the availability/unavailability of products, and trigger alert to store administrator or supervisor regarding the same as and when required. Smart shelves technology? Well, it’s instilling the power of communication into non-living objects, i.e., shelves, so that they can tell the store administrator when they go empty or out-of-stock. How to make it happen? The integration of RFID (radio frequency identification) tags with the shelves or sometimes with the merchandise itself is one popular and cost-efficient way. The emitted radio wave is captured through sensors and the shelves can be monitored via a software application created by IoT developers. What stimulates RFID? The RFID triggers a response based on the weight of the shelves. Clearly, the shelves will go lighter as more and more products are sold out. Interestingly, theft can also be checked. Some RFIDs are also sensitive about the mismatch. Hence, Internet of Things help with real-time inventory management automating the flow of information amidst shelf, store supervisor and supplier. 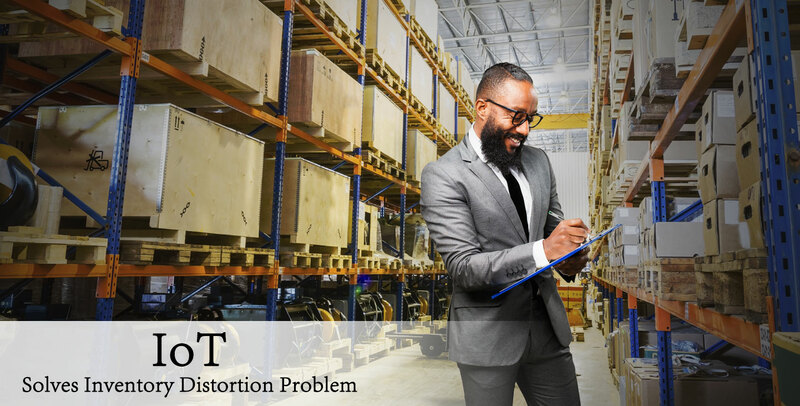 So addressing the inventory distortion problems, retailers can improve the overall customer experience besides turning the business profitable by checking leakage due to shopping cart abandonment or theft.